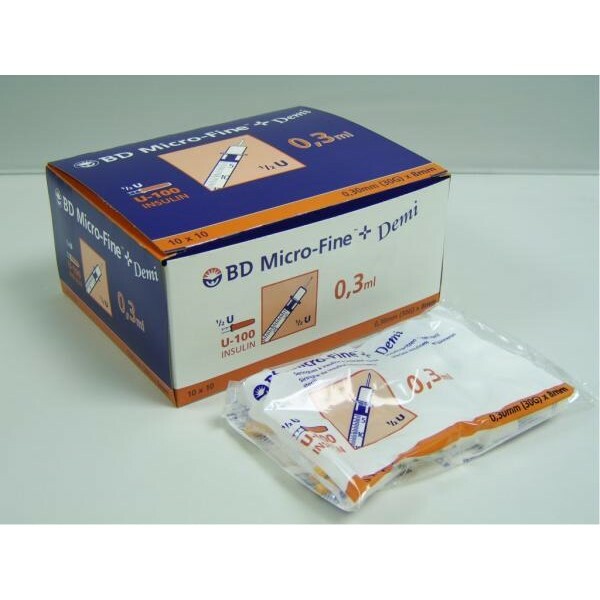 Below are some recent questions we've received regarding BD Microfine Insulin Syringes (100 i.u. per ml), including answers from our team. The concentration of Caninsulin is different from all other types of insulin available on the market. (This was done to make it easier to give the smaller doses often needed compared with human treatments.) Only Caninsulin syringes are suitable for use with Caninsulin (calibrated at 40 international units per ml). The Microfine Insulin Syringes are calibrated at 100 international units per ml so would give incorrect dosages if used with Caninsulin.